We are a full service hardware store. Our extensive fastener center has hundreds of screws, nuts, bolts, and other items to meet your fastener needs. 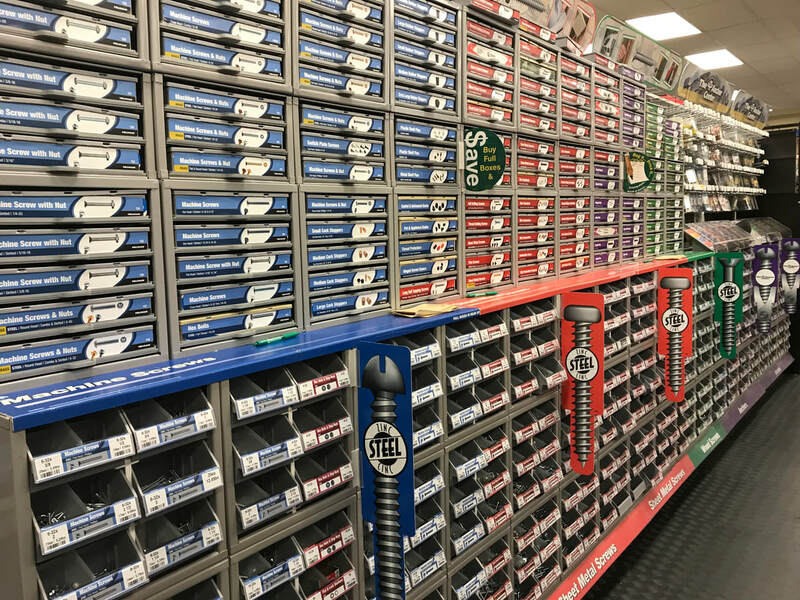 Our hardware section offers a wide variety of smoke detectors, builders' hardware, Command products, locksets, and a nice selection of cabinet hardware including special order boards for decorative hardware.